Garden Bytes from the Big Apple: HELP! 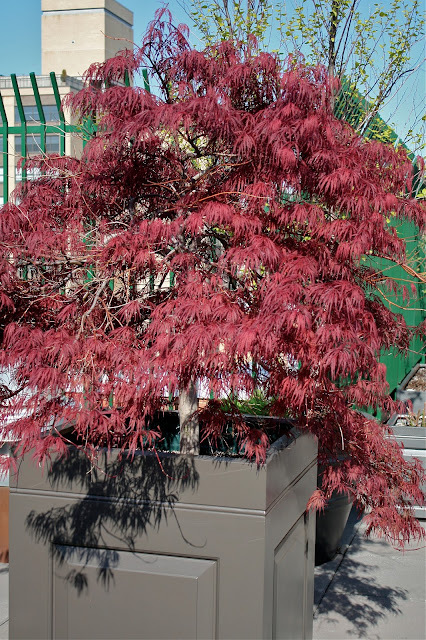 It's awful when bad things happen to good trees, especially a beautiful maple like this one! 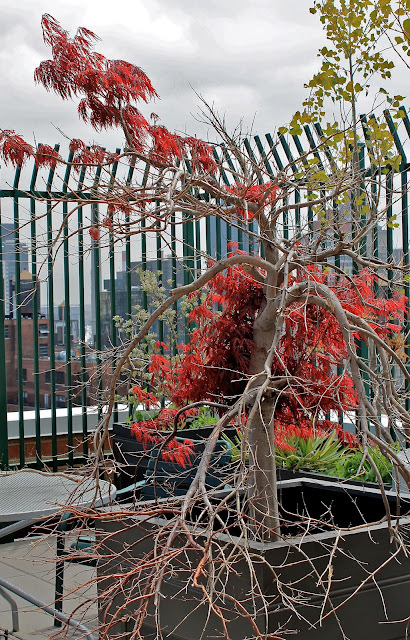 I think your only hope is to look at the tree as a live sculpure -- don't prune out all the dead wood, but see if you can retain an interesting shape using both live and dead branches -- sort of like bonsai artists shape shari on their old trees. Can you turn it into an irregular, twisting form, or a semi-cascade? Whatever you do, don't prune back too much, since maples don't like heavy pruning and it may shock the tree even more. You're probably already thinking something along these lines, but hope this helps! Jim, your thoughtful reply is extremely helpful, and no, I didn't know about maple-shock from heavy pruning. It's always about relabeling and re-imagining isn't it?